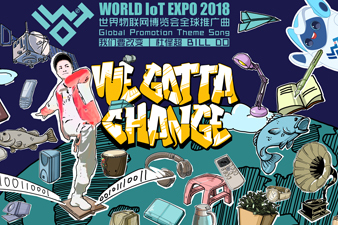 Jiangsu province, a center of China's rising Internet of Things (IoT) industry, and Zhejiang, China's leading Internet hub, are considered two major forces for the development of the country's digital economy. Reporters recently visited the two provinces to explore the efforts they made to achieve such a leading role in the Internet industry. Jiangsu turned to IOT technology to revitalize its manufacturing industry. Jiangsu GMKW Technology Co recently developed the NDCode, an invisible identification code based on nanotechnology and optical theory useable for all kinds of metal parts. By scanning the code, the origins of the metal parts are traceable no matter what kinds of products they are eventually assembled into -- vehicles, household appliances or robots -- according to Liu Hua, president of the company. A wind power equipment manufacturer in Wuxi first applied this new technology in the draught fans it produces, gaining real-time monitoring of product operation and quality. The code can endure temperatures up to 1,000 degrees Celsius, as well as repetitive washing and brushing. To promote the growth of Jiangsu's auto manufacturing sector, Wuxi Zhonghui Auto Electronic Technology Co joined hands with Japan's SEMITEC Corp to build the most advanced temperature sensor lab in China last year and developed a tiny sensor used for the Internet of Vehicles that can sense weak and complex signals such as light, electricity, temperature, pressure and time, and quickly give feedback to vehicles to let them execute commands correctly. Now, more than 30 percent of vehicle sensors in China are developed by the lab. Additionally, many other world-class Internet of Vehicles technologies have been developed and applied in Jiangsu, which has emerged as a national and even global intelligent manufacturing center for smart vehicles. Also, in the ship manufacturing sector, Jiangsu New Yangzi Shipbuilding Co is digitalizing its nearly 100 ship-making procedures. At Zhenjiang New Energy Co, 13 machine tools that cost tens of millions of yuan are doing refined data analysis. At Jiangsu Sunshine Group, a traditional textile enterprise in Wuxi, inventories have been reduced thanks to digital technology.